Armed with new research from the International Center for Research on Women, the ICRW, ExxonMobil, and Ashoka Changemakers are launching a new economic development challenge that they believe will be transformative in improving the lives of women and their families in developing countries. 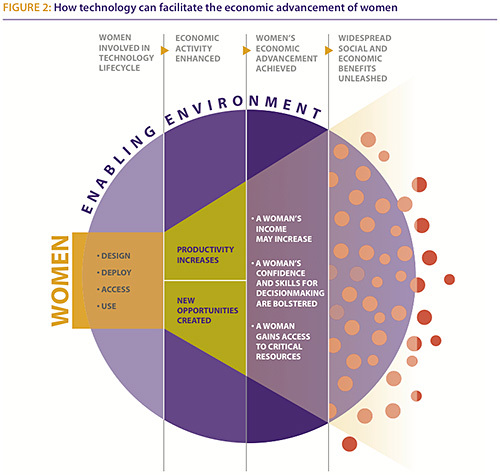 The purpose of the challenge is to stimulate innovation, entrepreneurship, and non-traditional partnerships among for-profits, nonprofits, and local groups, to develop new technologies that will rapidly advance economic opportunities for women, their families and communities. To maximize success, the ICRW emphasizes the importance of involving women early in the technology design and deployment process; developing technologies like energy and ICT that have the potential to benefit women and their families and communities across a variety of occupations; partnering with organizations with complementary capabilities; and investing in training–for example, for the use of the technology, accounting, business management, etc. In working with corporations and nonprofits, globally and regionally, for the past twenty years, I have seen that the efforts with the greatest impact have always involved collaborations with groups on the ground in the community. Engaging people who will ultimately use the technology–like any other product or service–is the key to success. By combining ICRW’s research together with Changemakers’ effective competitions, these partners–together with ExxonMobil–will play a valuable part in promoting the development of new technologies to advance women economically.